Corsothans, Wyvernites, and LARPers! Jonathan here with enough hype to last you for the rest of your days. 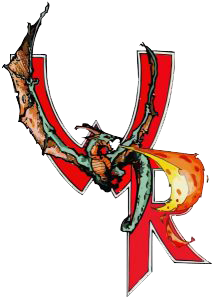 The Wyvern Rising Alternate Reality Specialists would like to introduce the single largest update to the Wyvern Rising system since the game’s launch 15 years ago. What you’re about to see is a labor of countless man hours by your game staff with a whole lot of help from our marshals and veteran players. We are very proud of our newest contributions to the game and we think you’re really going to enjoy this. Over the years, we’ve had minor patches and updates to keep the game current. Rules have been deliberated on, systems fleshed out, etc etc. Never before has there been such a large-scale change. So what, exactly, is changing? Everything and nothing. The actual game is not changing. The damage calls, the Death System, the lore, everything is staying exactly the same. How you interact with it, however, is. Primary Skill Paths have gone the way of the dodo. Instead, we’ve implemented the Skill Sphere system, which is an extremely versatile and forgiving system that provides you the platform to build exactly the kind of character you want. Our whole baseline, the singular theme we had in mind when creating this system is both our game’s motto and my favorite thing to ask you after every post: What part will you play? What part do *you* want to play? Create exactly the character you want, every time, not a character forced to pick the exact same skills as the person teaching you them. The possibilities are endless and we’re excited to see what kind of combinations you guys come up with. Fear not for existing characters. Over the coming weeks, we will be getting in contact with you guys on an individual basis. We have already begun importing characters over to the new system and we want to work with you to align you to the new system as best we can. Many paths and many individual skills underwent heavy balancing changes. Skills you may have thought you knew well may have changed. Please please please go over your character and their skills so that you understand how all of these new changes affect you. The changelog would be huge, so instead of me meticulously writing one out, assume that everything has changed. Keep in mind. The website is undergoing some heavy changes, and we are far from finished. We just wanted to get you this information as soon as we could so you guys can start learning, theorizing, and asking questions. Keep on the lookout for a much more polished version in the coming weeks.